Richard Bandler, John LaValle and Kathleen La Valle will provide you with the best quality training to ensure you are learning the skills of NLP at the very highest level. NLP Life Training is a globally respected organisation and the certifications you can gain on our seminars are endorsed by the Society of NLP, accepted as the benchmark of excellence in NLP the world over. Kate is the co-author with Dr Richard Bandler of 'Teaching Excellence' The definitive guide to NLP for Teaching and Learning. This book is the culmination of Kate's groundbreaking work in the field of Education, Teaching and Learning. Information about Michele Paradise, NLP LIFE Academy trainer and coach. Tony will teach you the skills of really committing to the project and bring that extra twist of that special something to your life. Tony is a Sky Sports presenter, and he is one of the regular hosts on Sky Sports News, and is published in 12 languages. Have you ever had a conversation with someone and intuitively felt they were lying to you or that you felt there was something incongruent about them but you couldn't explain why Discover how you communicate unconscious messages through your spoken word, identify blocks, hidden message and unspoken truths about your inner psyche through an incredible technology that is virtually unheard of and yet is without doubt life­changing. A presentation not to be missed. 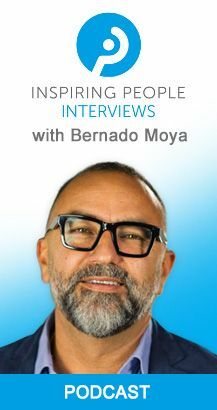 Bernardo Moya is an entrepreneur, author, speaker, publisher, TV producer and seminar promoter to some of the biggest names in Personal Development. As Chief Inspirational Officer and Founder of The Best You. With three EXPO's already held in London and one in Long Beach California, 25.000 visitors and over 500 exhibitors The Best You EXPO is now the largest personal and professional development live exhibiton in the world. Gill is a self-made millionaire with huge credibility in the financial world. She has featured as a ‘Secret Millionaire’ on Channel 4, a business expert on The Apprentice – You’re Fired, and a financial commentator for the BBC, ITV and CNBC. Gill is a naturally gifted presenter and a dynamic, humorous and motivational speaker with nearly 40 years of experience as a property investor. Mark Hayley will teach you a strategy for getting your point or idea across to a listener or listeners without ‘spelling out’ what your goal is; such that your idea remains relatively unchallenged. The method to be shared by Mark often has the listener believe that the idea that you convey is their own. Secrets on how to use the law of attraction to attract what you want in your life. I support individuals and businesses through clear, effective communications and through transformative personal development – including coaching and yoga. Fed up of struggling through life? Then Connect with your Universal Assistant! Are you curious to find out what you are really capable of? Did you ever feel like you are destined for something truly great? Do you want to unlock more of your inner potential to be successful? Most people on our planet are walking around with a little voice inside telling them they are not good enough, looking everywhere else for wealth and riches when ultimately we all have a treasure chest full of abundance inside of us just waiting to be unlocked. Dan will help you discover the key to your latent hidden abilities and give you powerful tools for enhanced creativity, focused productivity and faster learning so you can get more done in less time and achieve more of what you truly desire. There are a lot of ways to do social media marketing, but her approach is based on helping the client become an authority and build trust. Her content is ranked and she dominates all the search engines with her business and personal name as well as key words. Her unique system allows her content and articles to go viral in hours across the internet and social media. Sharon is a Platinum Expert Author and blogs on many platforms on the latest news and updates in social media. Tony Morris has over 8 years sales training experience. In the fifteen years of selling he has generated over £8m of business and in his four years at Capscan before setting up Sales Doctor, he sold the highest value order of £725,000 over a 3-year contract. He has a regular column in the Business Connections section of the London Evening Standard and Greater Manchester Business Week Magazine among others and has written a book on sales training tips entitled ``Coffee's for Closers``. Elliot Kay is mentor to small businesses as well as an international trainer, speaker and author of three books, his most recent is called Power To Succeed. Kubi Springer is an author and founder of The Kubi Springer Company, a lifestyle-marketing agency in London England. With over 14 years experience in building brands; Springer has delivered campaigns for some of the biggest clients in the world including: Nike, Justin Timberlake, Rio Ferdinand, New York Fashion Week, The Brit Awards, Atari Games, MTV and Blue Flame (Puff Daddy’s Marketing & Advertising Agency). Garry Jones is foremost a Master Practitioner of Neuro Linguistic Programming and Hypnosis. He is currently working with military personnel, prominent business leaders and Martial Artists. Julia Keller is a Love Coach for women over 30 who are serious about significantly improving their love life and becoming the owner of their ideal love and life story. Jo Waddell has had brilliant success using her NLP, hypnotherapy and life coaching knowledge to treat patients suffering from anxiety, lack of confidence and stress conditions including PTSD. He is part of the Great Britain athletics team and one of the best triple jumpers the world has seen. Kate Cross’s work will take you on a voyage of self-discovery, to unlock your truth and set yourself free. She will lead you to a place of certainty free from the cycles of self-sabotage, self-doubt and fear. Cindy is an author, public speaker and executive coach who developed the Platform For Success programme. Ever wonder how NLP could be used in business? Cindy will share her experiences working with executives, financial companies and trading firms, among others, to create better partnerships, improve team dynamics and increase revenues. My journey started whilst undertaking my BA Honours degree in Child & Adolescent studies. I gained experience in Sexual Health, Social Care and developed a passion for Social Research. I teach and coach people how to build online courses that they can sell and profit from, by simplifying the entire process, which can be a daunting and expensive venture, if you don’t know exactly where to begin and how to put it all together. Since she realized this wasn’t her calling, she uses the same skills for peak performance to guiding others to relieve their phobias and bad memories because its usually about the size of the pictures indie our heads. She is the author of best selling books Play Golf Better Faster and Phobia Relief: From Fear to Freedom. She trained in Neuro-Linguistic Programming (NLP) and Hypnosis with Dr Richard Bandler (co-creator of NLP) and Paul Mckenna. Founder of Add Some Latino to your Life and Flor Real. She has coached people from several countries, in both English and Spanish. She studied English and after being a writer/editor, Angélique de Graaff owned a sales representative company for publishing houses. Later on she became a teacher in a special school for teenagers with learning and behavioral challenges and started studying NLP, RET, Gestalt Therapy, Leadership, coaching, training and Nonviolent Communication. Supreet is the founder of ‘Mighty Little Souls’ and a passionate Parenting Coach. She created this bespoke program with the vision & mission to equip young children with tools that will empower them to lead extraordinary lives and to inspire as many parents to achieve a fulfilling life, raise the future generation that’s emotionally strong and do all of this and more while having an enriching and accomplished professional and personal life.